1/72nd Canberra PR.9s, concentrating on two particular aircraft throughout their service lives (including Chile)....this will be ideal for your Martin B-57 from italeri, or even the Airfix one!! 1/72nd Sea Vixen.....lots of options here to use on all those F-4J/S Phantoms you're going to build. Also applicable for other superior equipment like the Crusader, Tomcat, etc..
And DON'T FORGET Freightdog's "Brits At Sea", although all mine from that option will be REAL. Hyperscale has a review on the TSR.2 'what if' sheets from Xtradecal. Pretty decent for £4 I think. Now THAT'S something that's been needed for a while. 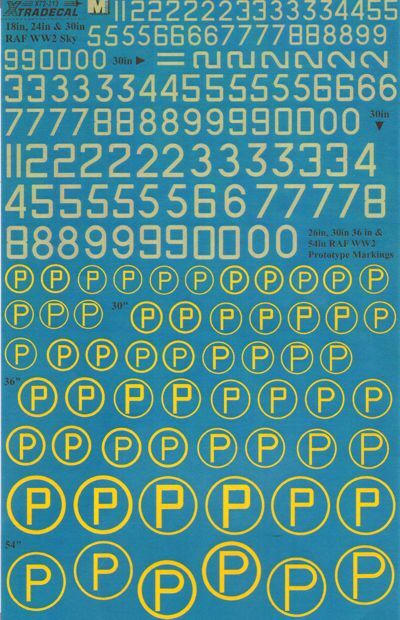 I'm on the very last 'P' of my Letraset sheet, bought maybe 30 years ago now! Fantasy Printshop have done a small sheet for a while Kit: http://www.fantasyprintshop.co.uk/_A6AJX.aspx?nh=55264 However it's only got 10 Ps, in two sizes and two styles, for £1.10, while this Xtradecal sheet has 58 Ps, in three sizes and at least four styles, plus the lettering, for £4. You learn something new every day, thanks for the gen.
You're welcome. Fantasy Printshop are always well worth checking out. They do things like sheets of ejection seat triangles and RESCUE signs that are really useful, as well as generic elements like stars, stripes and chequerboards. I only thought they made stuff for other manufacturers, I didn't know they made stuff for retail as well. Xtradecal have already got two new sheets lined up for the new Airfix Buccaneer, unfortunately they seemed to have completely missed that they are doing the Royal Navy version of the aircraft first with an emphasis on the 1965-72 period and instead the sheets appear to have an STD with them overrun with crabs . Why!!! 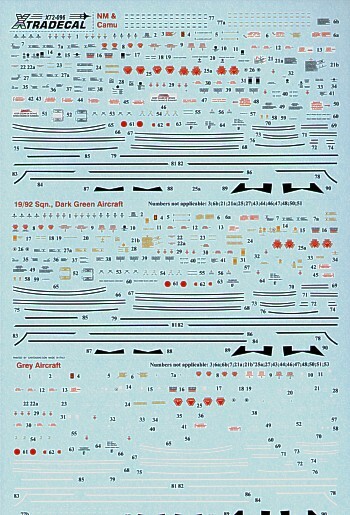 !, they used to do a rather nice sheet for FAA Buccaneers and a separate one RAF Buccaneers, but instead we get a mixed bag of users and type with a distinct bias towards RAF versions in later use which won't be suitable for the kit. 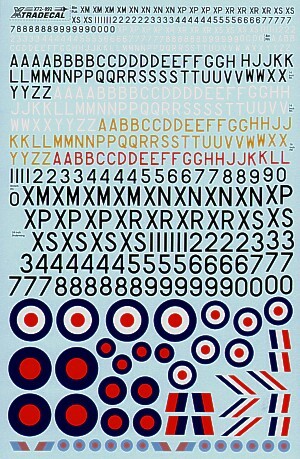 Why couldn't they do a comprehensive couple of sheets on the FAA versions as they did vary their markings during the period and then do multiple RAF sheets when the inevitable RAF boxing(s) appear in 2020. Hopefully someone else will give us a decent sheet of FAA Buccaneers if we can't get one from Hannants !